Lube work might only come up a couple times a year making it a challenge to quote accurately and install efficiently. Haldeman specializes in lubrication, fluid distribution and compressed air systems. We design, install and repair systems every day. 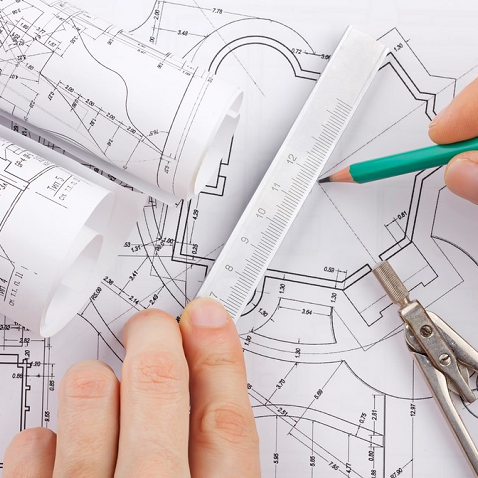 We provide services to engineers, estimators, general contractors and facility owners. We stay current with the latest equipment, materials and methods. We will gladly help you with any part of your project. Our senior staff has over 100 years experience with lube equipment including 40 years working directly for Graco, Balcrank and Alemite. In fact, some of the largest local engineering firms received their lube system training from a member of our staff. Without codes and inspectors the safety, performance and reliability of an istallation depends completely on the experience of the installer. A 48″ tank spec’d inside a room with a 36″ door. Red ATF turned brown by slag inside the wrong type of pipe. Equipment that should last years being replaced every 3-6 mos. Hose reels dripping onto car hoods, toolboxes or walkways. Absurd but not uncommon. All of these situations can be avoided with plans that are produced or reviewed by a lube professional. Haldeman routinely assists engineers, architects and project managers on the proper design and instalation of lube systems. Lube systems are a specialty installation that is neither plumbing or mechanical. The equipment and installation methods are unique and not covered by building codes. There are a lot of system designs and specs that are simply cut-and-paste from the last lube job a company worked on. Spec’s with obsolete part numbers are a dead give away. The use of outdated materials or methods is another sign. Contact us to be sure your design uses the latest products and methods. Lube equipment is a specialty installation that uses unique materials and installation methods. Unfortunatley our industry is filled with part time installers and companies using the lube system as a loss-leader to secure an order for their primary product. As a result, we do a very brisk business repairing lube systems that are less than a year old. Without building codes governing the design and installation, the safety, reliability and performance of a lube system depends almost completely on the integrity and expereince of the installer. As a company that specializes in lubrication and compressed air systems we are trying to do our part to raise the level of knowledge within our industry. We have hundreds of years worth of expereince in all aspects of lube equipment. Our team includes senior managers who have worked for Graco, Lincoln, Balcrank and Alemite. As a trade without codes it is difficult for a companies not specializing in lube to maintain up to date knowledge of the best design and installation practices. We regularly see new bid specs that include part numbers for equipment that has been discontinued for a decade. We see installation materials that are incompatible with the fluids being pumped. In the belief that a rising tide lifts all boats we offer a number of services free of charge to help improve the quality of work being completed in our industry. We have recently presented a “Used Oil Collection and Storage” program to an association of independent vehcile service stations and a “System Design” presentation to a design-build construction company. If you have a group that would like to learn more about any aspect of lube or service fluid distribution systems please constact us using the form below.